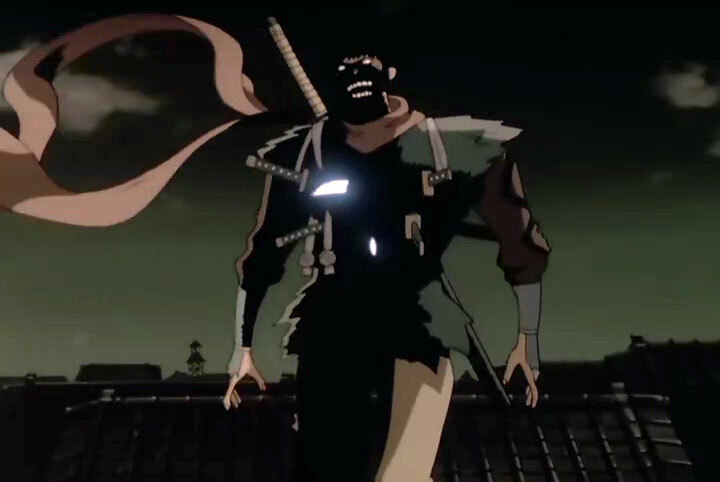 Jubei helps the Japanese government to take control over a city that was under Christian leadership. It was ruled by someone who could be seen as the new Jesus. But since he died, he has been reborn now, but not as a new Jesus but as the devil himself. 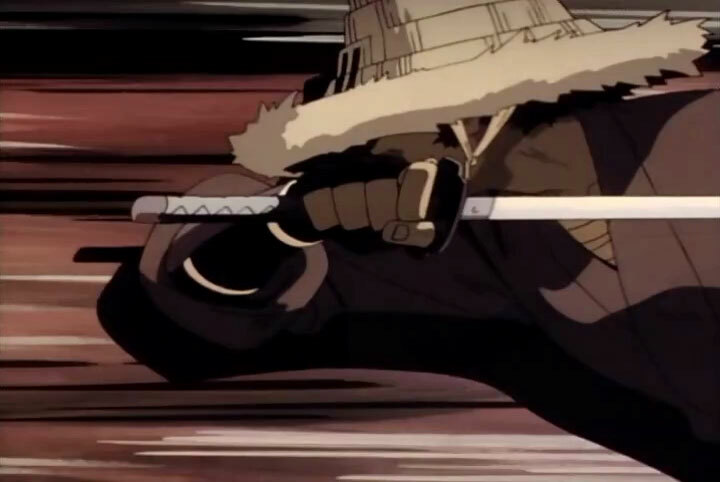 It is up to Jubei to take him out before the world has become one giant massacre. Ninja Resurrection is an intense anime! If you're religiously sensitive, the story might be too much for you. It's about Christian persecution after the feudal period. Thankfully, though, the story doesn't spend too much time on that. 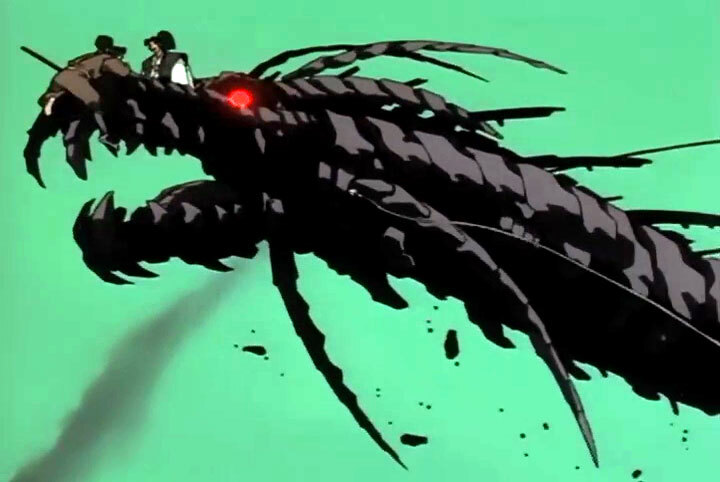 Ninja Resurrection is all about the crazy plot twists and awesome battles. Of which, are gory and violent. The soundtrack is good, too. It's a shame the series was cut short with only two episodes. 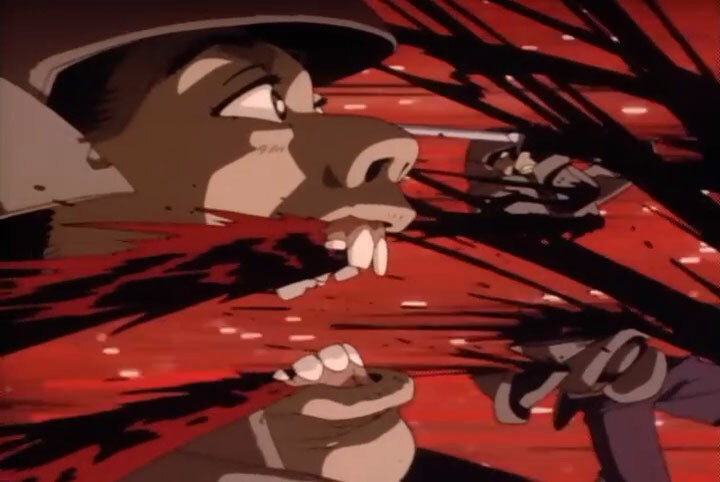 I recommend it if you love bloody ninja anime. 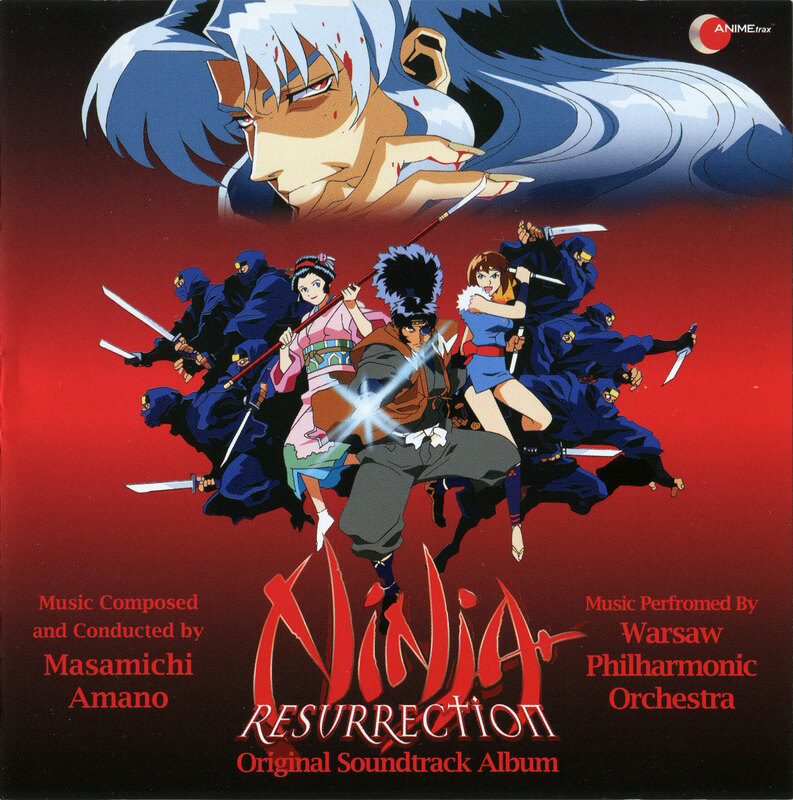 Jubei helps the government to take control of a city under Christian leadership. 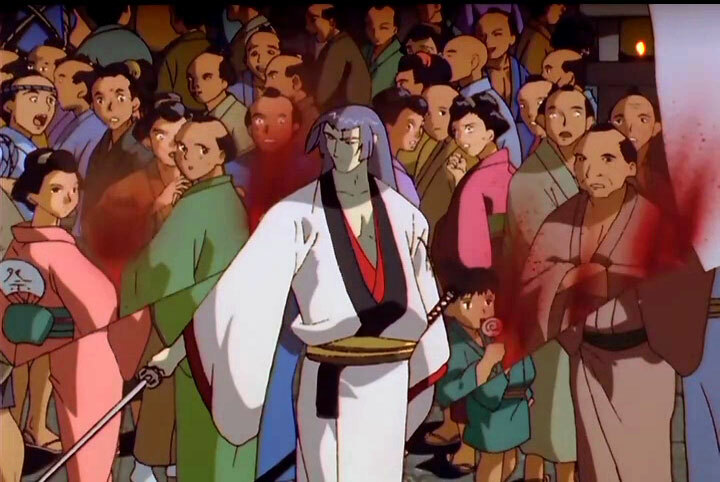 Demons from Jubei's past come back to haunt him. The full soundtrack from the short lived series. It's actually a pretty good soundtrack. The tracks are relaxing, consisting of flutes and Japanese style melodies.